Ferretti 500, result of cooperation between Studio Zuccon International Project, the AYT (Advanced Yacht Technology), the Group’s naval research and design centre and the team of architects and designers of Ferretti Group’s Centro Stile, is the re-examination of Ferretti 470 and it has been designed to offer Owners even greater comfort by means of targeted solutions. This yacht further develops the balance between interiors and exteriors. This is clear through the extension of the surface area of the cockpit, which enhances liveability in this environment, and the work carried out on the interior dÈcor, which gives a renewed feeling of contemporary classicism, in line with the entire range. 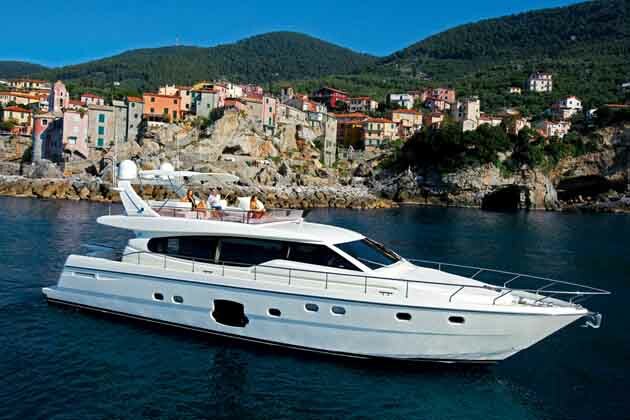 Externally, the racy, sporty line of the previous model has been maintained, and four large windows in the guest areas on the lower deck added. Moreover, two large windows have been fitted at bow, featuring portholes which can be opened, bringing natural light into the owner cabin. The night area has three comfortable cabins, two for guests and one for the Owner, at bow, with a large head. 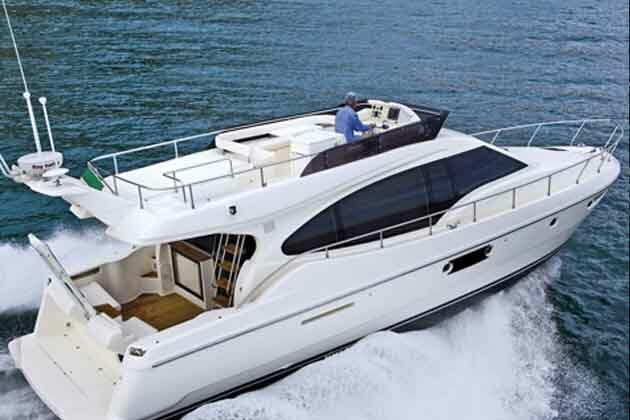 Outdoors, the flybridge features spacious areas where those aboard can enjoy the sun. Innovation, combined with a classical-contemporary design gave birth to the new Ferretti 800, designed by architect Gianni Zuccon from Studio Zuccon International Project and Ferretti Group’s AYT ñ Advanced Yacht Technology. The resulting yacht features generous interior spaces and a layout which is characteristic of larger yachts, combined with a winning external line, enriched by the use of colour, in which large glazed surfaces are a characterising element of the external design, guaranteeing exceptional lighting inside, too. The external profile of Ferretti 800 features two basic novelties: the use of the colour bronze for the dome and the graphic lines of the glazing characterised by the alternation of sinuous curves and decisive ìcutsî.